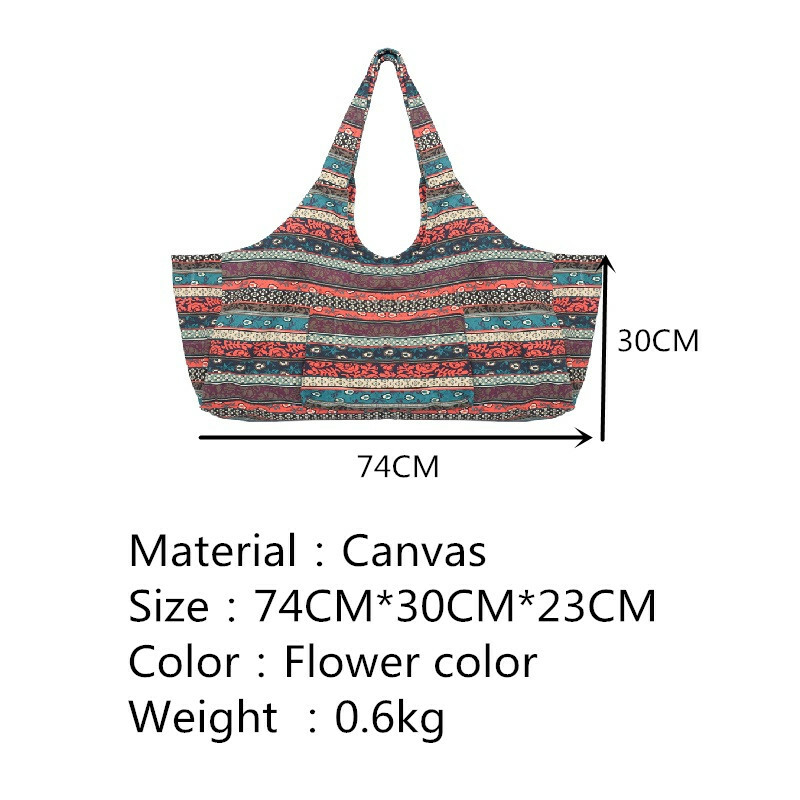 This yoga accessories bag 100% High Quality Canvas,12oz Cotton Canvasï¼?29" Long x 12" High ，Fits Most Size Mats.The yoga mat holder can be used for reusable grocery bag, sports bags, shopping bag, beach totes, diaper bags... and MORE! 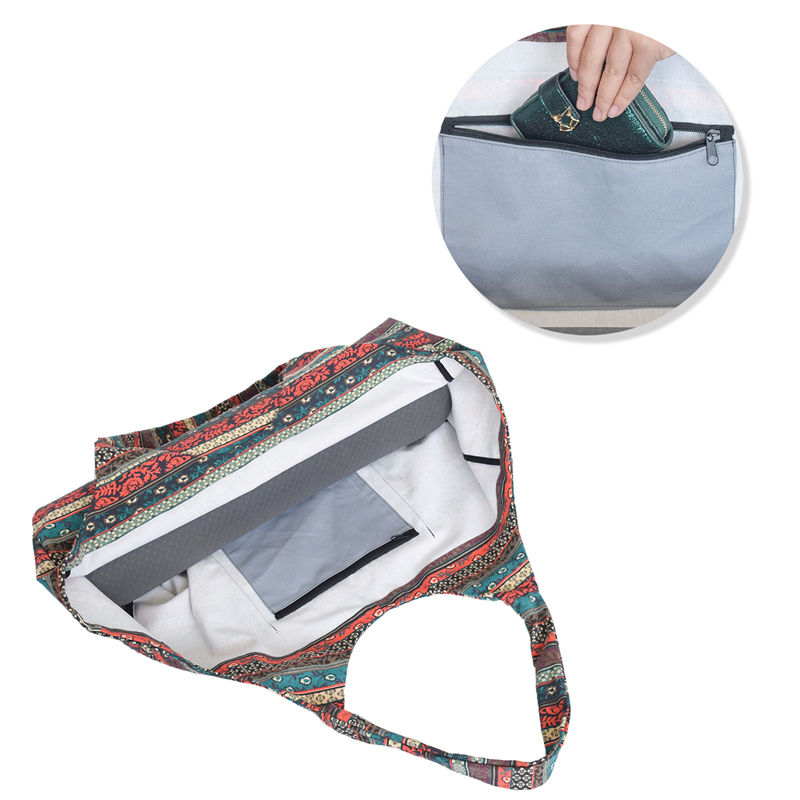 This Yoga mat bag could hold everything you might need during Yoga practice. 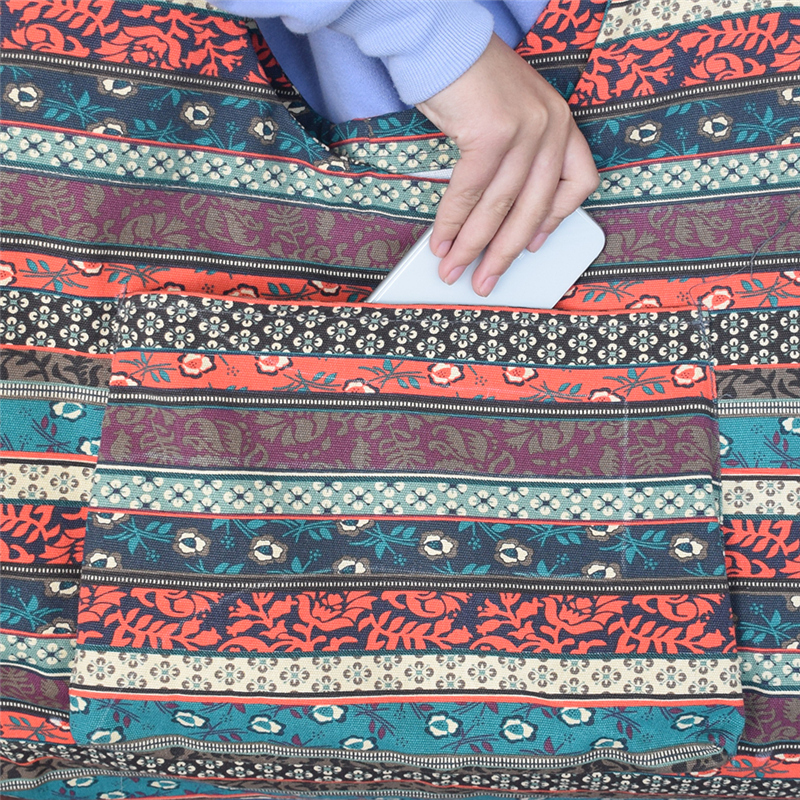 From a thick exercise mat, small towels and Yoga blocks to your smartphone, water bottles and snack bars! Just Slide in your Gear and GO! Perfectly seamed and stitched inside and out. 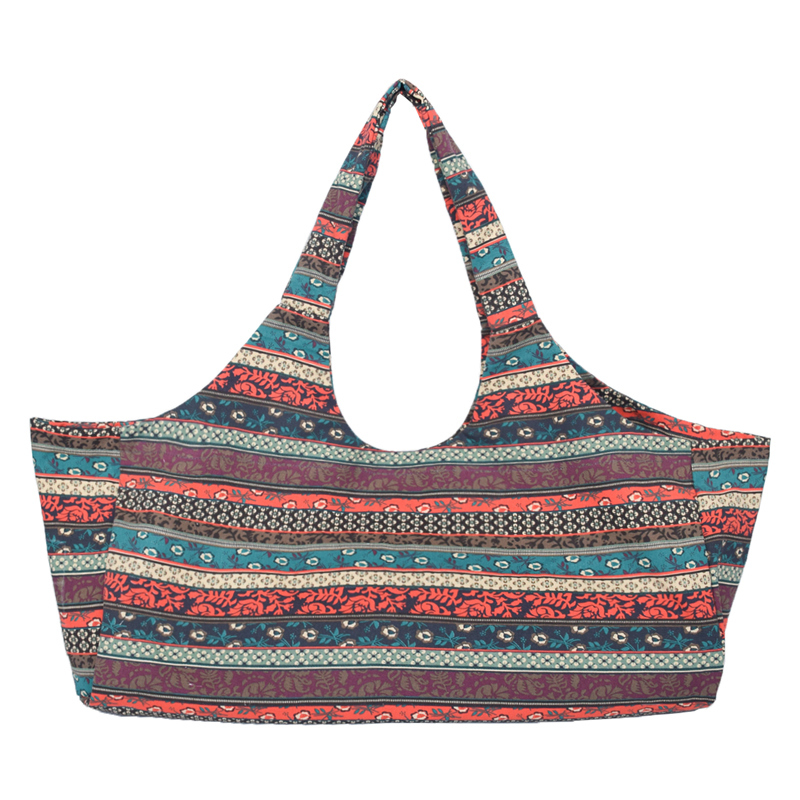 The yoga mat carrier extremely light weight and easy to handle. 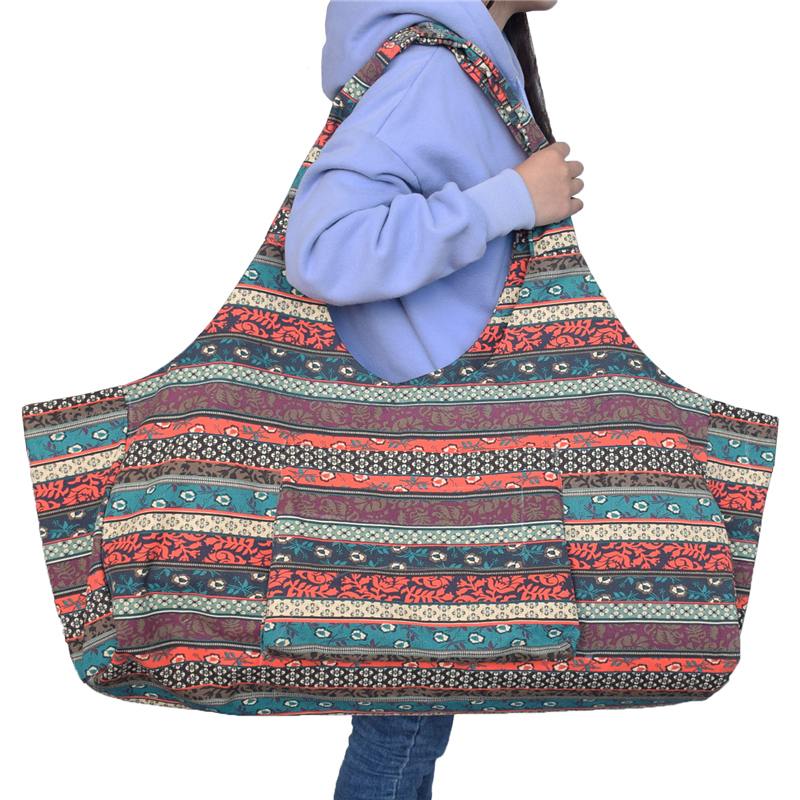 The wider size and the longer strap make it carry easily, without tiring your arms and shoulders. 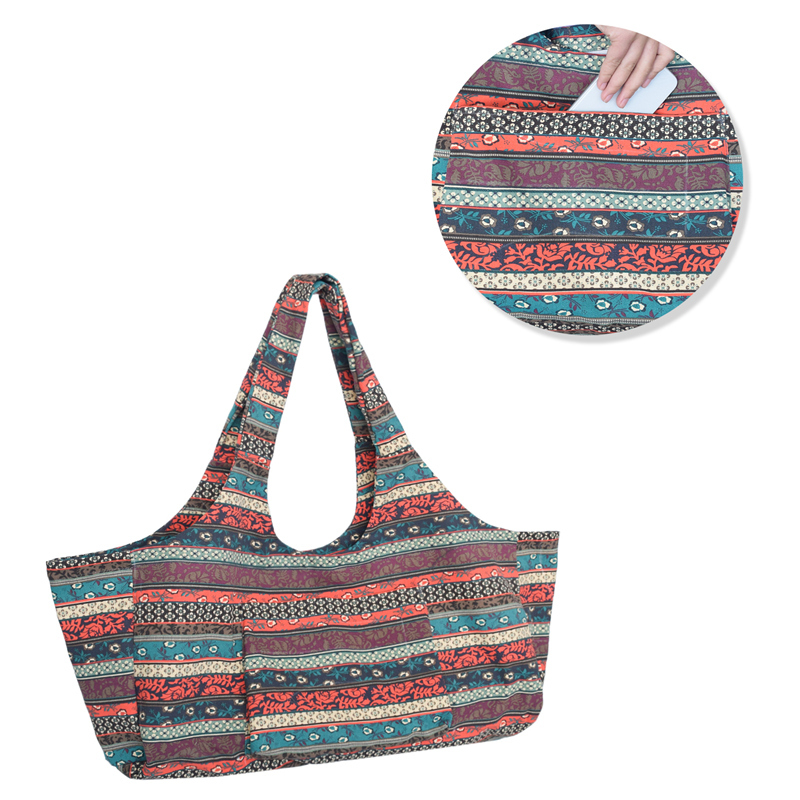 Shoulder strap tote bag form, crafted specifically to carry yoga mats in an easy way. One piece, no buckles and no fasteners. 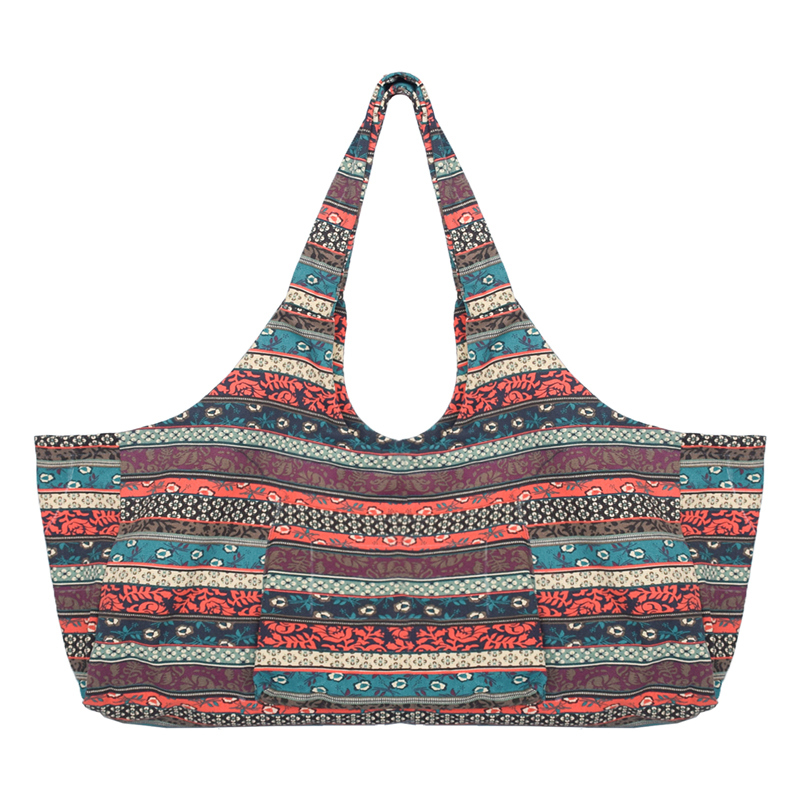 And our yoga tote bag is designed for neutral gender, simple design is suitable for all people. 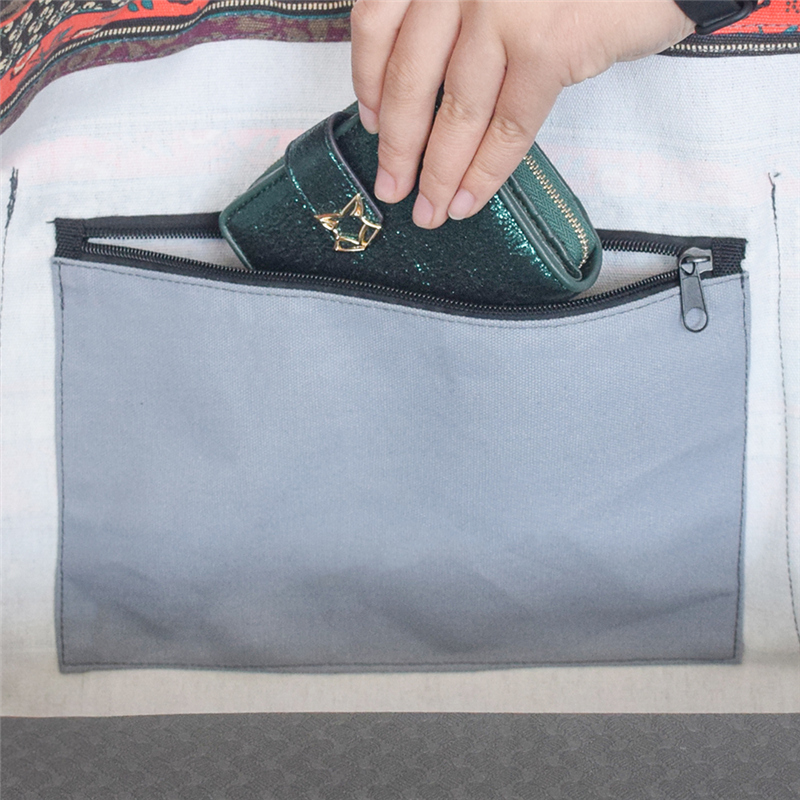 There are one large compartment for your gear, one large side pocket for water bottle, towel and sandals, and one small Interior zipper pocket for keys, wallet, and phone.